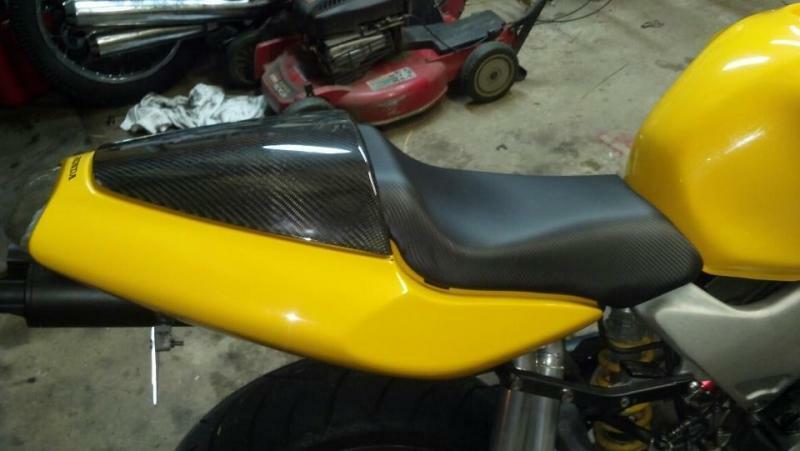 Looking to dress up my bike a little and considering its yellow and has Danmoto exhaust I want to stick witht he carbon fiber look, but having trouble finding much of anything. Front and rear signals now have CF on them, and found some bar ends and levers, but thats about it. Any good sources for other stuff? Are we talking the real stuff or do you have the cheesy carbon look junk? 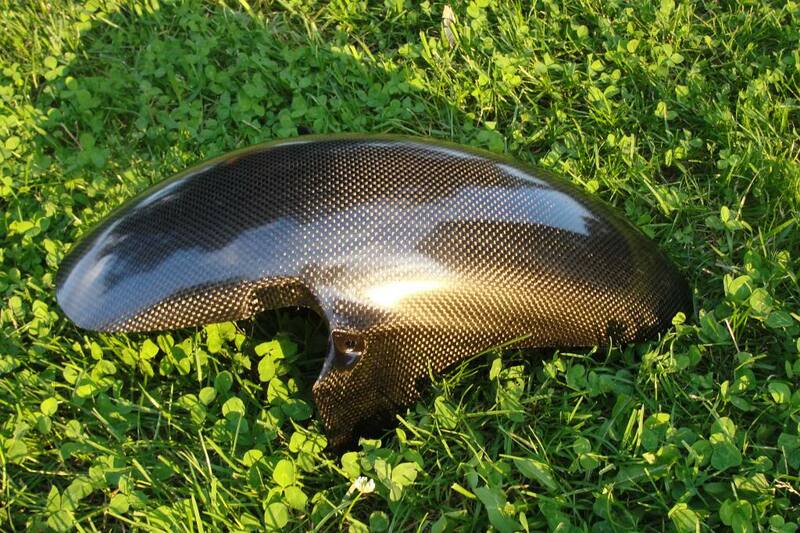 I just scored a real carbon front fender from Loco. Keep your eye on the classifieds. Some times you find exactly what your looking for and if you don't see it, post up a want. Well, Appleton? No reply... I did some research looking for the fender I bought. I you want some real carbon, check these guys out. Looks like crap IMO. Do it right!! Not really looking for body panels in CF. I like the way the yellow looks. Was thinking more about maybe some bar ends, levers, small things like that. bar ends and levers won't be real CF though, just that cheap wrapped look alike junk. OP isn't looking for that (jedi mind trick) lol.